1 Name of the Post FINANCE OFFICER 2 Number of posts 1 3 Classification Group – A 4 Scale of pay (Grade Pay, Band Pay) Rs. 37400 – 67000 with Grade Pay of Rs.10000/- 5 Age limit for direct recruits Age below 50 years as on 31/07/2015; relaxable in case of exceptionally qualified candidate 6 Period of Probation, If any 1 year 7 Educational and other qualifications required for direct recruits Essential i) Uniformly good academic record with a Master’s Degree in Commerce with minimum 55% marks or its equivalent grade in the point scale wherever a grading system is followed. ii) Chartered Accountant or Cost Accountant or equivalent professional qualification. OR Master’s Degree in Business Administration with specialization in Finance. In case of candidates holding professional qualifications as in item (ii), the requirement of higher academic degree may be waived. iii) 15 (Fifteen) years of working experience in management of finance in a Government sector / University or Institute of Higher Learning/ Commercial Establishment of which 5 years must be in a high administrative post involving supervision, control, planning and administration. Desirable Candidate should have proficient in computer-based accounting with special knowledge in state-of-the-art accounting software. 1 Name of the Post DEPUTY LIBRARIAN 2 Number of posts 1 3 Classification Group – A 4 Scale of pay (Grade Pay, Band Pay) Rs.15,600/- 39,100/- with Grade Pay of Rs. 8,000/- 5 Age limit for direct recruits Preferably below 40 years as on 31/07/2015 6 Period of Probation, If any 2 years 7 Educational and other qualifications required for direct recruits Essential i. A Master’s Degree from a recognized University in library science /information science /documentation with at least 55% of the marks or its equivalent grade of B in the UGC seven point scale and a consistently good academic record. ii. Five years of experience as an Assistant University Librarian /College Librarian. iii. Evidence of innovative library service and organization of published work and professional commitment, computerization of library. Desirable i. M. Phil. /Ph. D. Degree in library science /Information science /Documentation/ Archives and manuscript-keeping/ computerization of library. ii. Experience in cataloguing and putting accession no. books of Science, Engineering, Arabic, Bengali, Urdu, Persian and Islamic Theology iii. 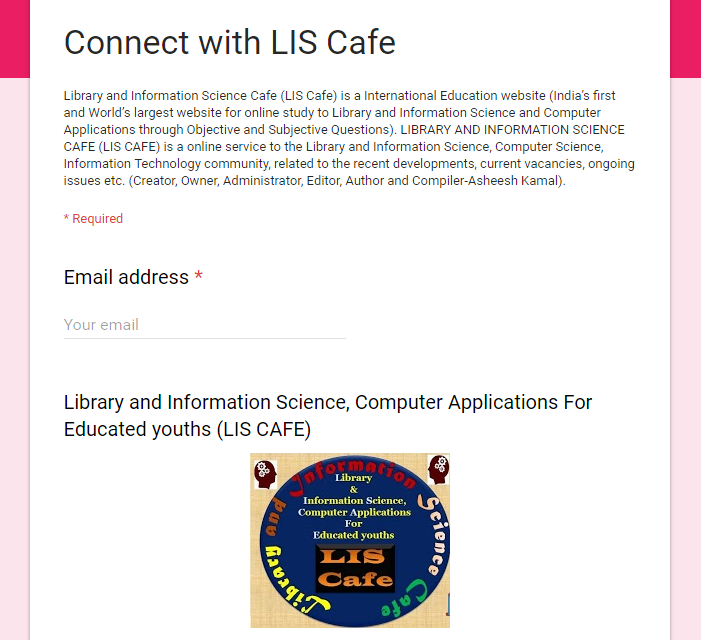 Knowledge on handling Library Software like Koha and Libsys software & setting up digital library. 5 Age limit for direct recruits Age not below 30 years. Relaxable in case of exceptionally qualified candidates. 7 Educational and other qualifications required for direct recruits Essential i. Uniformly good academic record with a Master’s Degree from a recognized University with minimum 55% marks or its equivalent grade in the point scale wherever a grading system is followed. ii. At least 10 years’ experience in a Supervisory capacity in a University or a Research Institute or a Government/ Quasi Government organization of which at least 5 (five) years’ administrative experience. Desirable Administrative experience in Multi Sectoral Skill Development Programme, liaison with State & Central Govt. Officials and experience of independently handling Vocational Department in an academic institute. 5 Age limit for direct recruits Age below 40 years as on 31/07/2015. Relaxable in case of exceptionally qualified candidates. 5 Age limit for direct recruits Age not below 35 years as on 31/07/2015. Relaxable in the case of exceptionally qualified candidates. 7 Educational and other qualifications required for direct recruits Essential i. Uniformly good academic record with a Master’s Degree from a recognized University with minimum 55% marks or its equivalent grade in the point scale wherever a grading system is followed. ii. At least 10 years’ experience in a position involving supervision, control and planning of administration of Colleges, Universities/ Institutes of Higher Learning or Government or Quasi Government organization. Desirable i. A Doctorate or published work of high standard ii. Experience of at least 7 years in University or in Post Graduate Research organization as Assistant Registrar or equivalent post. In that case, records of performance will be examined. 5 Age limit for direct recruits Age 35-45 years as on 31/07/2015. Relaxable in the case of exceptionally qualified candidates. 5 Age limit for direct recruits Age 35 -45 years as on 31/07/2015. Relaxable in the case of exceptionally qualified candidates. 7 Educational and other qualifications required for direct recruits Essential i. Uniformly good academic record with a Bachelor’s Degree in Civil Engineering with minimum 55% marks or its equivalent grade in the point scale wherever a grading system is followed. ii. At least 10 years’ experience in Experience in Planning, Architecture, Urban designing/ management, supervision/ construction of multi-storied buildings, lecture theatres, laboratories, auditoria, residential quarters, roads, water supply, sanitary installations and construction work under Government/quasi Government/University/Institute of Higher learning. Desirable i. A post-graduate degree in Civil Engineering or ii. Experience of 5 years in large scale industrial concern in a position involving decision making in planning, estimating, designing and supervision of construction. 5 Age limit for direct recruits Age not below 35 years. Relaxable in the case of exceptionally qualified candidates. 5 Age limit for direct recruits Age not below 30 years. Relaxable in the case of exceptionally qualified candidates. 7 Educational and other qualifications required for direct recruits Essential i. Uniformly good academic record with a Master’s Degree from a recognized University with minimum 55% marks or its equivalent grade in the point scale wherever a grading system is followed. ii. At least 10 years’ experience in a Supervisory capacity in a University or a Research Institute or a Government/ Quasi Government organization of which at least 5 (five) years’ administrative experience. OR Employee from Govt. Organization/ Autonomous bodies holding analogous post on regular basis iii. Good command over English, Bengali, Hindi and Urdu. Desirable i. Experience in Editing/Publishing house journal/ Newsletters, ii. Experience in independent reporting/preparing press release of seminars/symposia/ conferences of academic/Research Institutions, iii. Working knowledge of Newspapers/Magazines, iv. Experience of Office Management, v. Working knowledge in Computer preferably Desk Top Publishing, vi. Knowledge of Modern Methods of Mass Communication. 5 Age limit for direct recruits Age not below 35 years. 7 Educational and other qualifications required for direct recruits Essential i. Constantly good academic records followed by Master’s Degree from a recognized University in Physical Education or a regular Master Degree with a diploma or degree in Physical Education. ii. A minimum of 5 years’ experience in organizing and conducting physical education or sports activities in a College/ Institute of Higher Learning. Desirable Expertise in sports, games and sports administration recognized by the All India Sports Council. 5 Age limit for direct recruits Age not below 30 years. Dept. of Computer Sc. & Engineering (No. of post-4): Essential: B. E. / B. Tech./ MCA in Computer Sc. & Engineering from a recognized Institution having 2 years of experience in Networking, Hardware and Software as a Laboratory/ Workshop Technician/ Technical Assistant or its equivalent in any recognized educational Institution/ Industry. Or First class Diploma in Computer Sc. & Engineering or its equivalent from a recognized institution having 3 years of experience in Networking, Hardware and Software as a Laboratory/ Workshop Technician/ Technical Assistant or its equivalent in any recognized educational Institution/ Industry. Dept. of Electronics & Communication Engineering (No. of post-3): Essential: B. E. / B. Tech. in Electronics & Communication Engineering from a recognized Institution having 2 year experience as a Laboratory/ Workshop Technician/ Technical Assistant or its equivalent in any recognized educational Institution/ Industry. Or First class Diploma in Electronics & Communication Engineering/ Electronics & Telecommunication Engineering or its equivalent from a recognized institution having 3 years of experience as Laboratory/ Workshop Technician/ Technical Assistant or its equivalent in any recognized educational Institution/ Industry. Dept. of Mechanical Engineering (No. of post-3): Essential: B. E. / B. Tech. in Mechanical Engineering from a recognized Institution having 2 year experience as a Laboratory/ Workshop Technician/ Technical Assistant or its equivalent in any recognized educational Institution/ Industry. Or First class Diploma in Mechanical Engineering or its equivalent from a recognized institution having 3 years of experience as Laboratory/ Workshop Technician/ Technical Assistant or its equivalent in any recognized educational Institution/ Industry. Dept. of Electrical Engineering (No. of post-3): Essential: B. E. / B. Tech. in Electrical Engineering from a recognized Institution having 2 year experience as a Laboratory/ Workshop Technician/ Technical Assistant or its equivalent in any recognized educational Institution/ Industry. Or First class Diploma in Electrical Engineering or its equivalent from a recognized institution having 3 years of experience as Laboratory/ Workshop Technician/ Technical Assistant or its equivalent in any recognized educational Institution/ Industry. Dept. of Civil Engineering (No. of post-3 Essential: B. E. / B. Tech. in Civil Engineering from a recognized Institution having 2 year experience as a Laboratory/ Workshop Technician/ Technical Assistant or its equivalent in any recognized educational Institution/ Industry. AU/Apptt.-23/2015 dated: 27.06.2015 Page 12 of 14 Or First class Diploma in Civil Engineering or its equivalent from a recognized institution having 3 years of experience as Laboratory/ Workshop Technician/ Technical Assistant or its equivalent in any recognized educational Institution/ Industry. Dept. of Chemistry (No. of post-2): Essential: B. Sc. (Hons.) 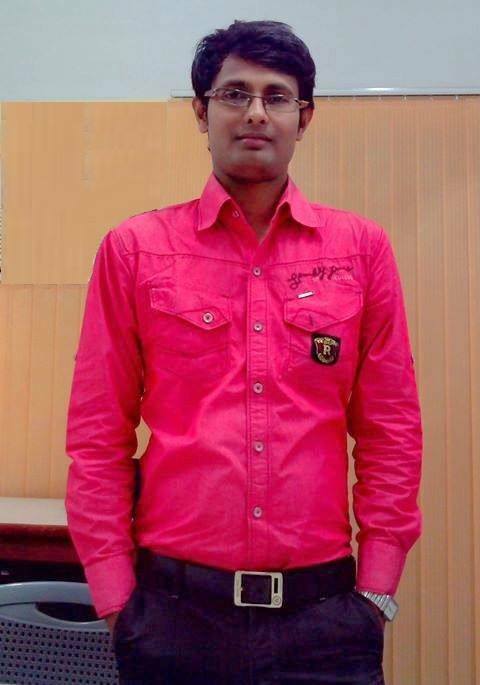 in Chemistry with 1 yr. working experience in PG/UG Lab. of Chemistry as a Technical Assistant preferably in an academic institute. Desirable: M. Sc. in Chemistry Working experience in handling instruments like IR, GC, UV-VIS, Fluorimeter, GC-MS etc will be given preference. 1. To apply for any post of Officers/ Non-teaching Staff the candidate must, desirably, have the basic knowledge of Islamic culture and civilization. 2. In case of Assistant Librarian, NET/SLET/SET shall remain the minimum eligibility criterion for recruitment and appointment. However, the candidates, who are or have been awarded a Ph.D. degree in accordance with the University Grants Commission (Minimum Standards and Procedure for Award of Ph.D. Degree) Regulations, 2009, shall be exempted from the requirement of the minimum eligibility criterion of NET/SLET/SET. 3. In case of Sports Officer preference will be given to candidate having Diploma /Degree from the National Institute of Sports. Requirement of Master degree may be waived in case of graduate candidates with good academic record with at least 10 years of experience of recognition in academic institute. 4. The prescribed essential qualifications are the minimum and mere possession of the same does not entitle candidates to be called for interview. The University reserves the right to screen applications based on academic attainments and shortlist who may/will be interviewed. 5. In case of employees of the University who are found to be suitable for the post of Officers / Nonteaching Staff of the University, the prescribed qualifications may be relaxed or waived. 6. If the qualification possessed by the candidate is equivalent, then the authority under which it has been so treated must be indicated and document(s) must be produced. 7. Stipulations in respect of Experience and Age may be relaxed in case of exceptionally brilliant candidates on the recommendation of the relevant Selection Committee. 8. The choice of the Selecting Authority need not necessarily be confined only to those who formally apply. 9. Candidates already in employment should apply through proper channel. 10. Appointments will be made on probation for a period mentioned above against each category or till such time as decided by the University. It may be waived or extended in exceptional cases and will be guided by the rules as framed and /or amended from time to time. During or at the end of the period of probation, the services of the concerned Officers, Physical Training Instructor & Technical Assistants may be terminated with one month’s notice or with one month’s salary in lieu thereof, without assigning any reason thereof. On satisfactory completion of the probationary period the concerned incumbent will be considered for being confirmed in service. 11. Service conditions as notified by orders of the Higher Education Department, Govt. of West Bengal from time to time will be applicable. 12. No applications shall be considered after the last date. However, application sent through Government Post stamped on or before the last date of submission of application form shall be accepted by the University. 13. No telephonic enquiries or requests can be entertained. 14. Candidates should clearly note that the University will in no case be responsible for non-receipt of their applications due to postal delays. 15. University shall not be responsible for delay in receipt of interview letters / offer letters due to postal delay or on any other account whatsoever. However, applicants are encouraged to provide Mobile Nos. and E-mail addresses so that the University can contact them at short notice. Necessary information regarding short-listing of candidates, interview dates etc. shall be uploaded on the University’s website from time to time. 16. Candidates can also deliver their applications personally at the University Office against proper receipt. The University will not be responsible for the applications delivered to any other functionary of the university. 17. Candidates are requested to super scribe the words “Application for the post of ………….. Sl.no……..” as the case may be, on the top of the envelope, while sending the application forms. 18. Candidates applying for the post of ‘Technical Assistant (Grade-I)’ are requested to super scribe the words “Application for the post of ………….. Sl.no…… for the Department of………....” as the case may be, on the top of the envelope, while sending the application forms. 19. The period of experience rendered by a candidate on part-time basis or contractual or temporary basis will not be counted while calculating the valid experience for short listing the candidates for Officers category for interview. 20. Incomplete or unsigned applications or applications without photograph, fee will be rejected. 21. 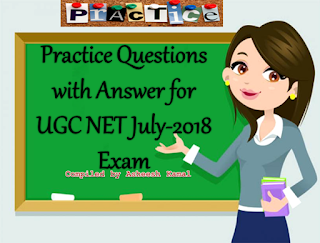 If in any category the number of applications received in response to the advertisement is large and will not be convenient / possible for the University to call all the candidates for interview, the University reserves the right to restrict the number of candidates to a reasonable limit by considering qualifications higher than the minimum qualifications laid down by the University/UGC/AICTE. 22. The method of short listing will be based on objective criteria, but may vary from Category to Category; depending on the number of applicants relative to the posts. 23. Applicants with grade/grade points (C.G.P.A./ D.G.P.A./ S.G.P.A./F.G.P.A. etc.) should write the percentage equivalent according to the formula used by their Boards/Universities /Institutes. Certification from their Boards/Universities /Institutes is required in support of their claim. They will be required to justify their percentage equivalent claimed by them at the time of interview and failure of such thing may even lead to cancellation of their candidature or calculation of the percentage equivalent by the University itself by whatever method it considers. 24. A post may not be filled up if any suitable candidate is not found. 25. No T.A. / D.A. shall be paid to the candidates for attending the interview. It is to be noted that all the posts referred to in the Advertisement are University positions and the University reserves the right to assign duties to Officers and other Employees of any particular Department in other Departments or even in other campuses of the University to meet emergency situations. Separate application for each post applied, along with an A/c payee Demand Draft of Rs. 500/- (Rs. 300/- for PD candidates) for Officers Category per post and Rs. 300/- (Rs. 200/- for PD candidates) for Physical Training Instructor & Technical Assistant per post drawn in favour of Aliah University payable at Kolkata must reach the Registrar, Aliah University, Action Area-IIA/27, New Town, Kolkata- 700 156 on or before 31st July, 2015 within 5 p.m.